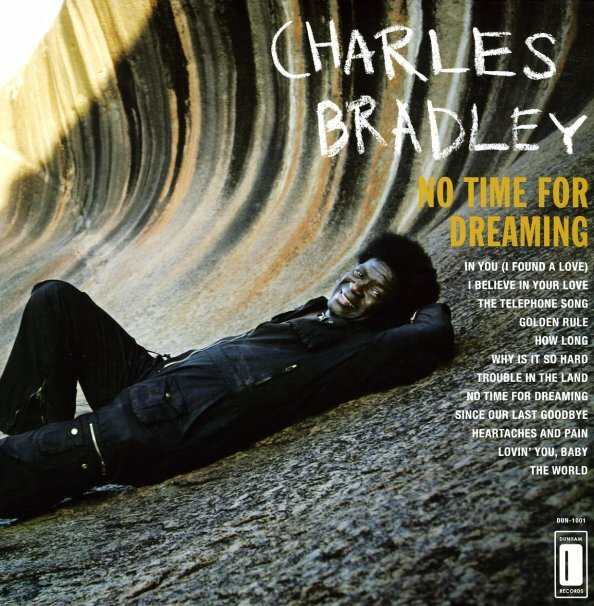 Gritty, powerful raw soul from Charles Bradley – the full length debut from the 62-year-old Brooklyn singer – backed perfectly by The Menahan Street Band! It's incredible, a record that sounds just as rawly emotional and impeccably soulful in 2011 as it would have in 1971 – much like the work Sharon Jones and The Dap-Kings, there's no mistaking this for anything but the real deal. Rough hewn in beautifully so – with perfect, funky backing by team Menahan. A timeless treasure! Titles include "In You (I Found A Love)", "I Believe In Your Love", "The Telephone Song", "Golden Rule", "How Long", "Trouble In The Land", "Since Our Last Goodbye", "Heartaches And Pain", "The World" and more. © 1996-2019, Dusty Groove, Inc.